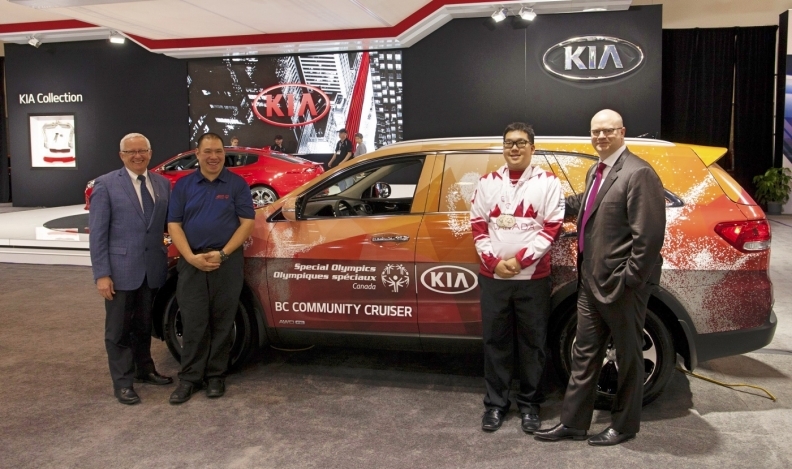 Kia evaluated a number of organizations to support philanthropically before settling on Special Olympics Canada. Kia Canada has entered into a multi-year partnership with Special Olympics Canada to support the participation of the intellectually disabled in sports. The partnership, led by Kia vice-president Ted Lancaster, includes providing vehicles to help at events, vehicle leases as prizes for fund-raising raffles, freeing up Kia staff to volunteer at events on company time and cash support. Lancaster, Kia’s chief operating officer, estimated the Korea-based automaker’s overall commitment to be $500,000 a year, including support for this year’s Canada Summer Games at Antigonish, N.S. The deal is for at least three years with the possibility of an extension. Kia will also encourage its 189 dealers to step up, he said. Special Olympics Canada has more than 42,500 registered athletes ranging from two years old to mature adults, supported by more than 20,500 volunteers, including 15,700 trained coaches. Kia will be the exclusive automotive partner and one of seven platinum partners, including Tim Hortons, Sobeys and the federal government. “Like Kia, Special Olympics is all about the ‘power to surprise,’ and with this support, we will continue to grow our movement and demonstrate that people with intellectual disabilities can, and will succeed when given the opportunity,” CEO Sharon Bollenbach said in a news release. Kia evaluated a number of organizations to support philanthropically before settling on Special Olympics Canada, Lancaster said in an interview. Kia Canada’s other sports ties, including support for PGA golfer David Hearn and the Drive Change program to encourage donation of used soccer gear, made the Special Olympics “a good fit,” he said. Lancaster has a personal connection: His brother Michael was a Special Olympics athlete for many years and the Kia executive volunteered and helped fund-raise for the organization. Lancaster stressed he didn’t influence Kia’s decision to support the group.